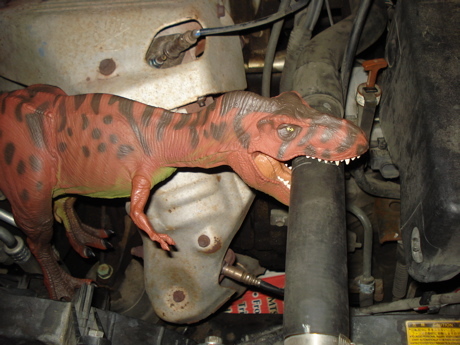 Robot Dinosaurs as Auto Mechanics. 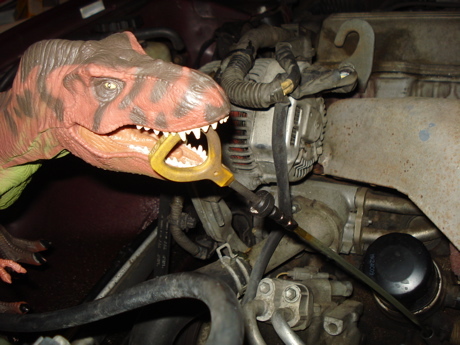 Robot Dinosaurs or Auto Mechanics? We report, you decide. 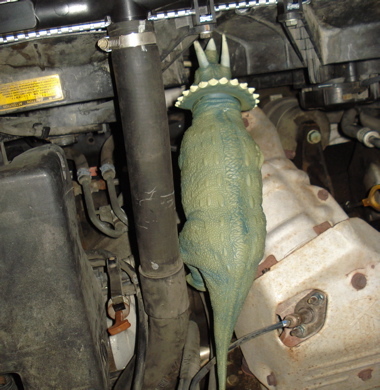 The Dino-buggy had to go into the shop today. For some reason it always turns out to be an expensive visit. 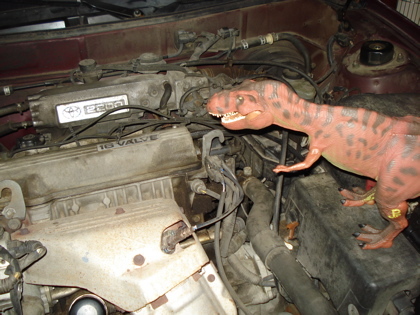 First though, it needs to be inspected. Maybe this time I'll be lucky. 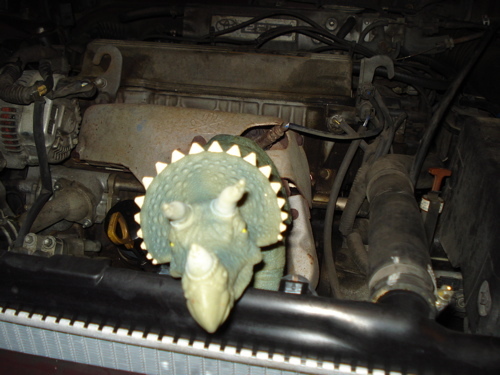 (snip)"And way down here these tubes are loose...."
(thunk)"Uh, mister. 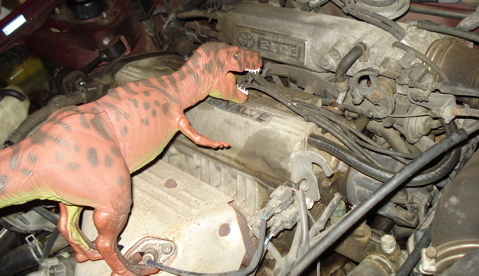 Ya gotta coupla three holes in your radiator..."
"You should always check your oil. (While I check your credit!)" 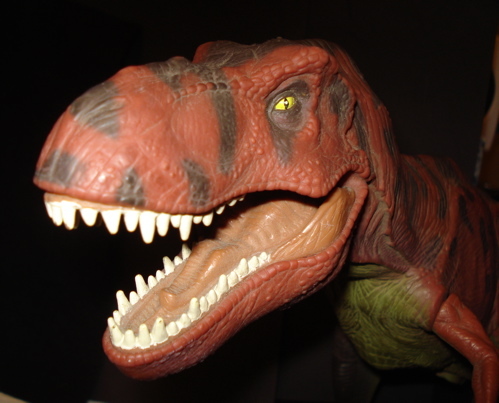 You are reading the robot Dinosaurs Blog Archive page. To return to the main Blog Archive page please click HERE, thank you.